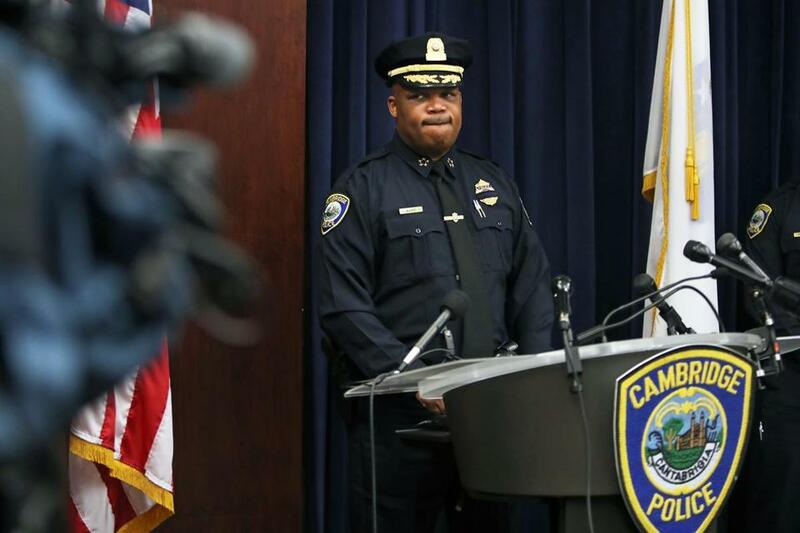 CAMBRIDGE — Cambridge Police Commissioner Branville G. Bard Jr. defended his officers Monday amid a growing backlash over the forcible apprehension of a visibly distressed black Harvard University student who was naked and allegedly hallucinating on drugs. 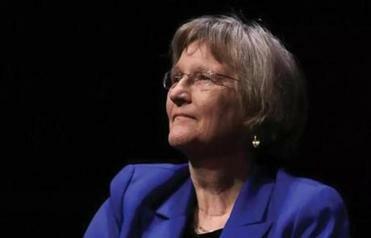 The police officers’ actions Friday night drew a strong rebuke from Harvard president Drew Faust, who called the events “profoundly disturbing.” The mayor of Cambridge, Marc McGovern, expressed similar criticism. The police department’s professional standards unit was notified of the matter Saturday and will conduct an internal inquiry into the incident, which involved three Cambridge officers and a transit officer, authorities said. Standing before reporters Monday at Cambridge Police Department headquarters, Bard explained that subduing a flailing and combative person is tough, and urged the public to not cast judgment on the officers’ actions based on “20-20 hindsight,” which he said is unfair. “You have to judge their actions within the context of a rapidly evolving situation and not with [an] ‘ideal construct,’ ” he said. In a statement over the weekend, the Harvard Black Law Students Association called the apprehension of Selorm Ohene “a brutal instance of police violence,’’ adding that officers lunged at Ohene, tackled him, and pinned him to the ground without provocation. While Ohene was on the ground, the group said, an officer could be seen striking him in the torso. Cambridge Police Commissioner Branville G. Bard Jr. at a press conference on Monday defended his officers’ actions during a skirmish with a Harvard student Friday night. Faust said that while all of the facts are not yet known, the incident raises important issues about the relationship between police and the communities they serve, student health resources, and the manner in which university units operate with each other and their community partners. She said the arrest occurred against the backdrop of increasingly urgent questions about race and policing in the United States and about racial disparities in health care. Vice Mayor Jan Devereux said the video is “hard to watch,’’ but she and City Manager Louis A. DePasquale, the police commissioner’s boss, said they are confident in Bard’s ability to conduct a thorough review. Bard, who started as commissioner in August, said officers are trained to use the “least amount of force necessary,’’ by first engaging verbally, then moving up what he calls a “force continuum,’’ which includes verbal commands, “control holds,” and other “less than lethal force” measures — anything from punches, kicks, use of a baton, or pepper spray. Cambridge police are equipped with a baton, pepper spray, and a gun, officials said. A baton was used to wrest Ohene’s hand behind him so he could be handcuffed and safely transported to a hospital, they added. The incident began after police responded to a 911 call from a woman who said a naked man had thrown his clothes into her face. Six other callers reported seeing the naked man, who was identified later as Ohene, 21, of Cambridge, officials said. The police arrived at 9:09 p.m. at Massachusetts Avenue and Waterhouse Street, along Cambridge Common in Harvard Square. They attempted to verbally engage Ohene on the median on Mass. Ave., Bard said. At some point they learned from his friends that he might have ingested hallucinogenic drugs, the commissioner said. A video, shot by a bystander and released by police, shows an officer grabbing Ohene’s legs from behind and knocking him forward into another officer. The three men fall to the pavement, and, with the help of a third officer, Ohene is pinned to the ground. “Help me, Jesus! Help me, Jesus!” Ohene is heard saying in the video. A fourth officer helps restrain Ohene, and one of the officers can be seen striking Ohene. Bard said that once on the ground, Ohene continued kicking and flailing. Two officers suffered minor injuries. Bard said that, ideally, the officers would have engaged the individual verbally and taken him into custody. As Ohene was taken to Mount Auburn Hospital for mental health evaluation, Bard said he spat a mix of saliva and blood into the face of a paramedic in the ambulance. Officials are awaiting the results of Ohene’s mental health evaluation before determining whether he should face charges, which include disorderly conduct, indecent exposure, and assault and battery on the paramedic.